The British are doing their best to prevent direct contact between Yulia Skripal and her Russian relatives. Her cousin, Viktoria Skripal, had wanted to travel to Britain to visit Yulia while she was in hospital but the UK authorities refused her visa, without explanation. No doubt because they feared that free contact with her cousin may have dispelled any notion Yulia had that Russia tried to poison her. Viktoria has openly stated that she believes her cousin and uncle “ate something wrong” in a pub. This is a certainly more plausible than British allegations that Russia had tried to poison the Skripals with a deadly nerve agent. If only because if a nerve agent had been used both Sergei and Yulia Skripal would almost certainly be dead by now, or at least irreparably harmed. Yet both appear to be well on their way to recovery. To discover who carried out this crime we have to resort to the principle of “Cui bono“, or who profits? In this case Russia had absolutely nothing to gain from poisoning the Skripals. For a start Sergei Skripal had reportedly been contemplating returning to Russia. Had he done so he would have provided Russian intelligence with valuable insights into Western aims in the country, as well as providing a propaganda coup for Putin. In other words Sergei Skripal had become entirely expendable to the British. The Skripals’s poisoning also provides the West with more ammunition in its ongoing propaganda war with Russia, as the Western corporate media strives to portray Russia as a threat. In a way that hasn’t been seen since the Cold War. While the U.S. and its NATO allies build military bases ever closer to Russia’s borders, Western intelligence is working hand-in-glove with the corporate media to condition the public mentally for war with Russia. The Skripal’s poisoning and the attendant press coverage is part of this campaign. To date absolutely no hard evidence of Russian involvement in the poisoning has been presented. All we have are repeated allegations of Russian wrongdoing, backed by suggestion and innuendo. “intelligence ‘insiders’ revealed two messages sent from Syria to Moscow were intercepted at an RAF listening post in Cyprus on March 3 and 4. “The message on March 4, the day of the poisoning, included the phrase ‘the package has been delivered’ and that two people have ‘made a successful egress’. This wouldn’t stand up in a court of law, let alone a Cold War spy drama. Yet with repeated allegations and insinuations like this the West is building the case for conflict with Russia. Ed. Russia today claimed any plan to resettle its former spy Sergei Skripal and his daughter Yulia abroad with new identities would be ‘an abduction’. The Russian Embassy in London said it would be ‘another gross violation of international law’ if the Skripals were sent abroad with new identities. Miss Skripal, 33, and her 66-year-old father were targeted in a poison plot in Salisbury five weeks ago, but the daughter has now been discharged from hospital. She has been taken to a ‘safe house’ where she will be quizzed by security officials about the incident. Speaking about reports of the Skripals being relocated by the UK, the embassy said: ‘With a secret resettlement of Mr and Ms Skirpal all opportunities to hear their version of the events of March 4 will highly likely be lost forever. Today, Russia congratulated Miss Skripal on her recovery but demanded proof that her treatment was ‘on her own free will’. The pair had spent a month in critical condition in Salisbury District Hospital but have since made recoveries. Medical director Dr Christine Blanshard today confirmed Yulia had been discharged and she has been taken to a secure location. Dr Blanshard paid tribute to hospital staff who worked during the ‘enormously testing’ recent weeks. In a statement following Ms Skripal’s release from Salisbury District Hospital, the Russian Embassy in London said: ‘We congratulate Yulia on her recovery. 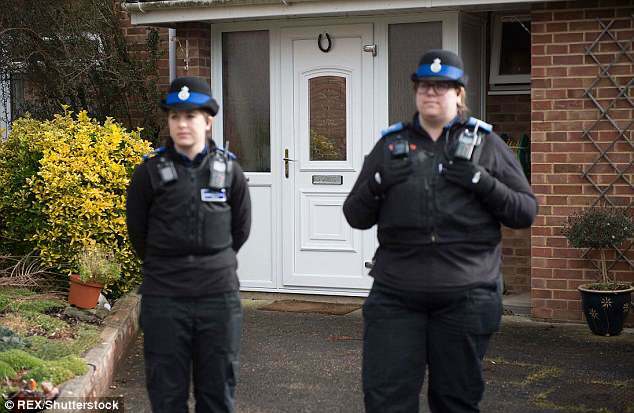 They were both contaminated by Novichok, which is believed to have been smeared on the handle of Mr Skripal’s front door at his Salisbury home. Yulia’s cousin, Viktoria, today said she is ‘feeling pleased’ that the 33-year-old is ‘well enough to be released from hospital’ and expects her to claim political asylum. Yesterday, Viktoria told a Russian talk show that an application to seek protection outside of Russia is about to be lodged. ‘I know that Yulia Skripal’s statement about political asylum is coming already,’ RIA news agency claimed. It comes after her relatives said they fear she is being held in ‘detention’ by Britain and not allowed to say what she really feels. The ex-spy’s cousin, Natalia Pestova, 65, spoke out in Siberia after reports that the poisoned 33-year-old and her ex-spy father Sergei could be given political asylum or new identities, possibly in America. Meanwhile, RAF spooks intercepted a message to Moscow saying ‘the package has been delivered’ shortly after Sergei Skripal and daughter Yulia were poisoned, it has been reported. It is understood the information was central to the intelligence package shared with Britain’s allies before more than 100 Russian diplomats were expelled from countries across the world. The British Government has repeatedly said it is ‘highly likely’ Russia was behind the attacks in Salisbury despite scientists at military research site Porton Down being unable to confirm that the Novichok nerve agent came from Moscow. According to the Sunday Express, intelligence ‘insiders’ revealed two messages sent from Syria to Moscow were intercepted at an RAF listening post in Cyprus on March 3 and 4. The message on March 4, the day of the poisoning, included the phrase ‘the package has been delivered’ and that two people have ‘made a successful egress’. A Flight Lieutenant then flagged the message intercepted the previous day following the attack on the Skripals, although its contents have not been revealed. Spies at the Governments intelligence headquarters the GCHQ in Cheltenham were then given the information as they put together a dossier on the poisoning. 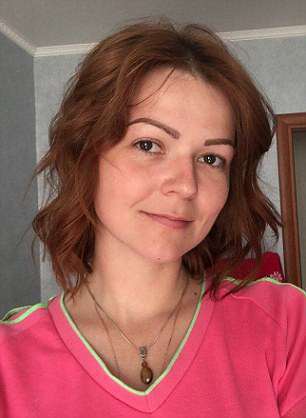 It comes as the Mail on Sunday revealed the agent used to poison former Russian agent Mr Skripal and his daughter was specially designed to take ‘four hours to kill them’ so their assassins could flee Britain.